Navicat Premium 12.1.8 – Combines all Navicat versions in an ultimate version. Next story Alfred 3.7 (937) – Quick launcher for apps and more (beta). Previous story Creo 1.1.1 – Combine Design and Development processes. Navicat Premium 12.0.12 – Combines all Navicat versions in an ultimate version. Navicat for SQL Server 12.0.27 – Graphically manage SQL Server databases. 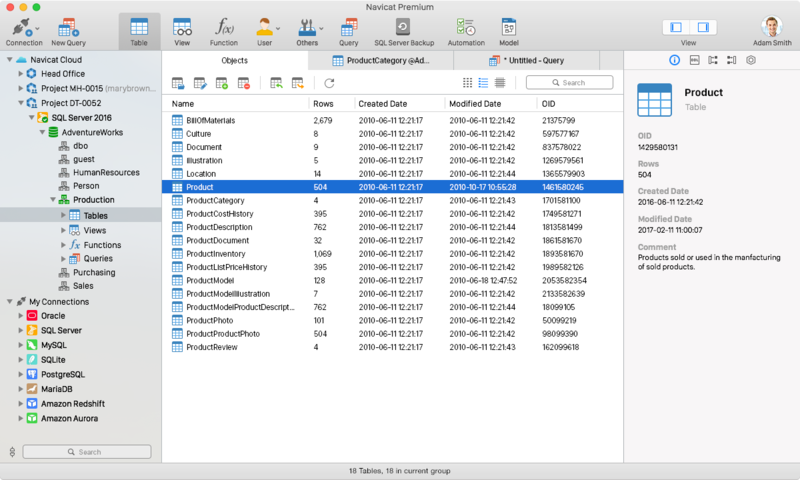 SQLPro Studio 1.0.325 – Powerful database manager.